This elegant wallpaper is part of Mind The Gap’s new Manhattan Metallic collection. 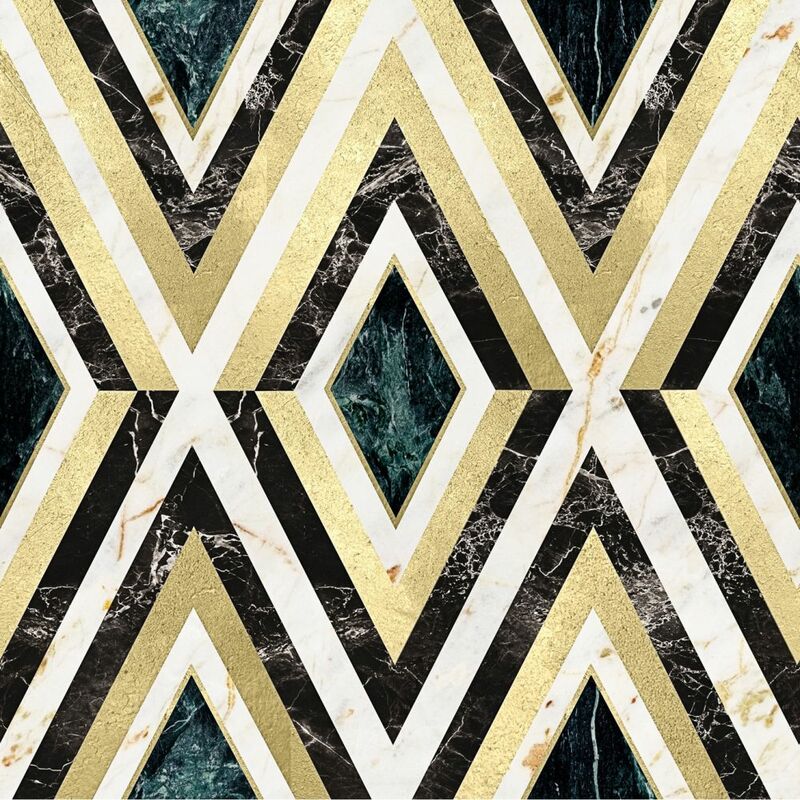 The design features a diamond or chevron motif depicted in brass on a green, black and white background with a marble texture. The wallpaper has a satin matte finish. Mind The Gap wallpapers are made on new generation non-woven substrate and printed with eco-friendly inks. Whenever we use MTG papers on a commercial project, the decorators comment on the heavy quality and how easy it is to hang!